James Bond? Boone never heard of her. An award-winning lead title, Absinthe and Chocolate is now a free download from most retail venues! Released as a risk-free read in mid-month, the first of five titles in Boone’s File is enjoying success on Amazon and elsewhere. Find out why, and help spread the word! Boone’s fifth novel is now in full release. “Thank you” to the many fans, helpers, and readers whose enthusiasm also makes my catalog what it is. Her latest begins moments after the conclusion of her fourth, Meat for the Lion, and largely concerns itself with the events surrounding the resulting constitutional crisis in the Russian Republic. Along the way, nearly all of my surviving characters—Boone, Terry Bradley, Daniel Sean Ritter, Thalia Kebauet, Deborah Vosse, Yael Levin, and Jon and Mary Anthony—either play a role or make an appearance, as do others old and new. Epic, excellent, and already described elsewhere as a work wherein “the emotions never stop,” I’m simply delighted with the result. “Spring brings changes: for Boone, the joy of an expectant mother. Both the U.S. and the Russian Federation see tumultuous presidencies reach unexpected ends; in Moscow, the cause is death at the hands of an InterLynk associate. Washington political operatives seek to shore up a legacy of failure in order to preserve their party’s viability. In Russia, a resurgent movement exploits political turmoil to propose governance in the style of the last century’s Cold War. To those ends, all pursue a family on the run in the Mediterranean: loved ones whose safety is critical to ensure an assassin’s testimony. Thrust into an international, unavoidable contest of deadly professionals, Boone’s challenge is to summon her faith and overcome fears inhibiting decisive action. Justice, integrity of governance, and the narrative of history in two countries await the outcome. Actions have consequences, some of which are predictable … and some not. In Boone’s fourth novel, complications arising out of her covert history interfere with an attempt to start a new life. Following simultaneous attacks in Washington and Moscow, Boone and her allies learn of what was thought to be an extinct breed of predator: Vedro Krovi (VAY-dro KROWV-yi), a company of Russian mercenaries unleashed by patrons uncomprehending of the level of commitment and ruthlessness they have unwittingly engaged. This, while Deborah Vosse—the premier investigative journalist for her left-leaning ForwardNews network—is prompted by the murder of a colleague to examine the relationship between heads of state and the shadowy figures of international intelligence. Connections never intended for public knowledge begin to unveil those who covertly enabled or interdicted the agendas of masters or enemies. 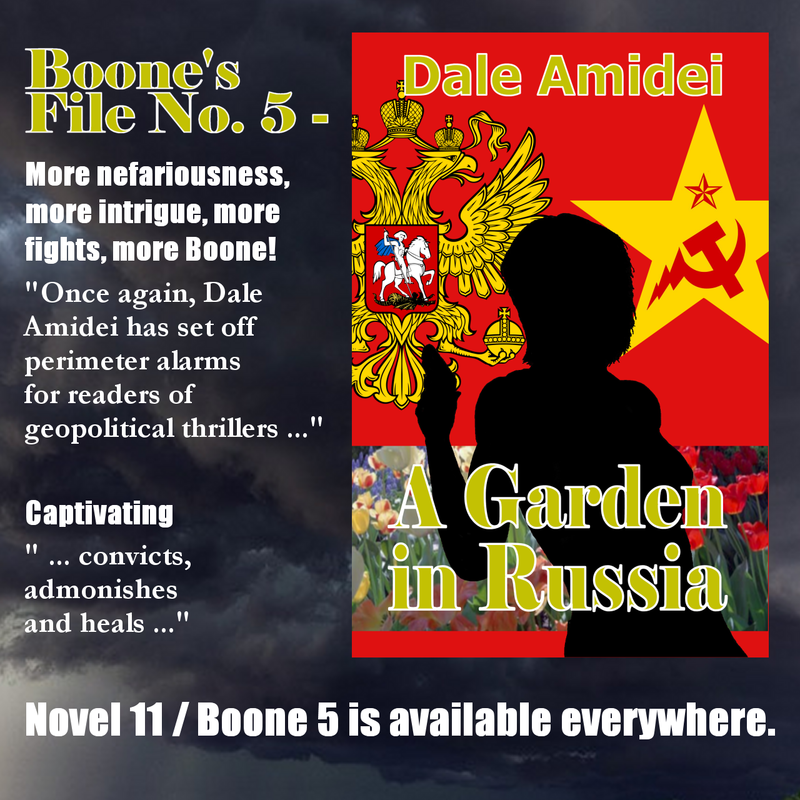 The plot develops into Boone’s largest challenge to date, with everything she holds dear, including her beckoning life and freedom, at risk on multiple fronts. “Boone, now a former covert operative, looks forward to a fulfilling marriage, new career, and brighter days. Investigative journalism by one of her country’s most prominent news personalities, however, begins to unravel a thread of actualities thought to have been classified out of existence. Actions once undertaken in the national interest threaten her new life. When not only Boone’s people but the servants of the ill-intended and powerful are targeted for elimination, the result is an undeclared war between the keepers and the kept. Forced back into a high-stakes game against international players, she will need to call on all her resources in order to defend those whom she loves against two of the world’s most powerful men … and sins of her past. Trade paperbacks at Amazon and CreateSpace! As always, your contributions toward signal boost in spreading the word are appreciated. Read. Rock. Review. Recruit. Repeat. In more production news, Ritter’s fourth title, The Yemeni Package, has entered Content Edit in preparation for an anticipated first quarter 2018 release. Or is it You’re Part of the Story? Either sense is correct. Interconnectedness is a vital aspect of the human experience, and without an appreciation of the precept, we would each develop into someone far below our potential. You, however, are my readers. I’m not content to leave you there. Many worthwhile things can be accomplished on an individual level, and some of those in no way else. Even the most independent achievement, however, is the culmination of capability fostered by affecting influences. Those are the drops and rivulets contributing to the flow of who we are and what we do … for better or worse. Likewise, each event in the past contributes its part to the composition of the current scene. Frank Capra did a better than adequate job of illustrating totality in It’s a Wonderful Life, so I won’t bother to recap his conclusions here. It’s a pity, though, that sometimes this essential realization drops while reading fiction when we so wholeheartedly embrace it watching that film. I sometimes wonder if its absence also contributes to a less-than-sufficient grasp of history generally, much less the problems this can cause with dedicating attention to a novel. I mention every so often how much I dislike encountering formulaic fiction. Emphases vary between plot-driven and character-driven structure such as mine. 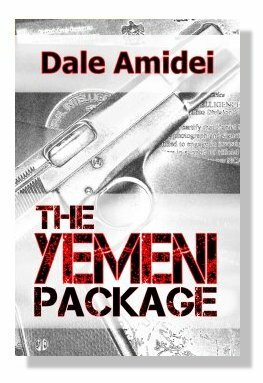 One won’t find action leading the way in a Dale Amidei novel, for the same reason that unanticipated, out-of-context conduct in real life generates confusion and anxiety in its witnesses. The ideal here is removed from pulpy exploits and steeped in substance instead, and the distinction sometimes requires the accumulation of momentum in defining a character’s situation. Structure, done from farther out than a singular or first-person perspective, sometimes requires this. I’ve never written under the latter restriction, much preferring the weave of multiple points of view I encountered in my best formative reading. Reading first was a process that stretched across four decades before attempting my own serious novel, one that ran somewhere past thirty consecutive five-stars on Amazon and once was, by one website’s weighting, the second highest-rated fiction title in the Kindle store. Character-driven fiction requires an investment on the part of the reader in the imaginary folk he or she is encountering. Its dividend must be paid by the author, but this takes time. It also, sometimes unfortunately, requires depositing a span of attention nearly every aspect of modern life seems intent on degrading. No one, if you’ve not noticed, ever dies in a Dale Amidei Chapter One. In Chapter Two and following all bets are off … but by then you will at least have an inkling of what’s happening and why. What and Why, now that Boone is about to appear in her fourth novel, both play a vital role in her latest adventure. The interconnectedness to which I alluded in beginning this post is coming full circle; the cascading implications of fulfilled duty in her previous title, One Last Scent of Jasmine, extends from Washington to Moscow as two of the world’s most powerful men turn to ruthless pragmatism in seeking to distance themselves from their moral culpabilities. Boone’s fourth is now set to appear on June 28, 2017. I hope you’ll be coming along on a trip not to be missed, whether you jumped into my interconnected character universe through Jon’s Trilogy, or Sean’s File, or with Boone’s debut in Absinthe and Chocolate. She and I need your reads, your reviews, and your help in boosting my signal on social media. You’re part of this story, and once it’s finished, I promise that Boone’s will remain part of you. To produce a novel that shakes the blessed earth is my prime motivation of course, but also to go forward with you from then on. Afterward, both of us will hopefully fulfill the clear vision of our Craftsman within the remainder of what He intends. You do your part. I’ll do mine. 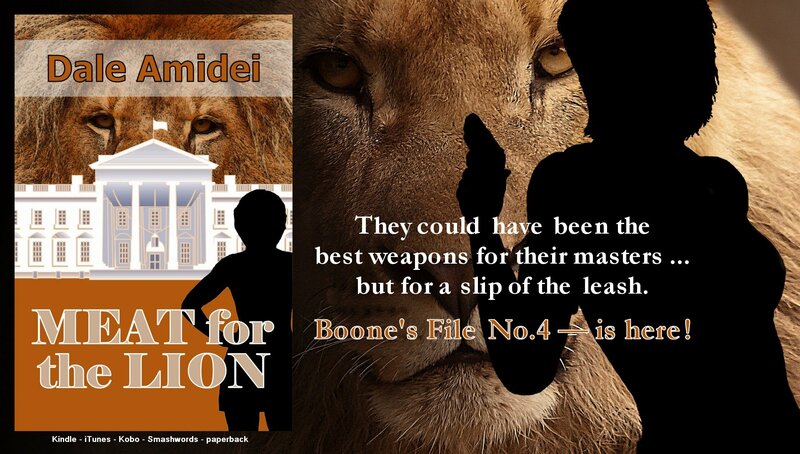 In production news, as mentioned above, Boone’s fourth novel, Meat for the Lion, is progressing through its final quality assurance steps before publishing later this month. Once retail pages are live, her Big List of Links will appear here as a separate post. Boone’s second is in full release! Boone’s return in her second novel, The Bonus Pool, sets her in an adventure capturing the same second-in-series energy of developed characters and synergistic story line as did Jon Anthony’s return in The Britteridge Heresy. In addition, the rich content, international settings, high-voltage action, and substantive themes made the title a true pleasure to produce and, as I’m sure her fans will agree, an experience to be relished. “A Chinese dissident, targeted by his government for assassination, flees to asylum in Paris through a joint effort of the U.S. Office of the Director of National Intelligence and Peter McAllen’s InterLynk. A rogue intelligence agent, now freelancing, accepts Beijing’s contract to eliminate the man as a threat to Communist regional control. It is an opportunity to damage McAllen’s organization in the process. A pool of InterLynk contributors is exposed, and the life of a man capable of changing the spiritual direction of the world’s largest authoritarian regime is on the table. His guardian and her allies in InterLynk must match wits with a ruthless adversary. The challenge before Boone Hildebrandt and InterLynk Field Operations: find and neutralize a deadly assassin. At risk with a spiritual leader for a movement numbering in the tens of millions is ongoing contributor confidence vital to the existence of the West’s preeminent private intelligence firm. As always, remember the motto of the Dale Amidei reader: Read. Rock. Review. Recruit. Repeat. To this we now add Ready Yourself. Boone will, God willing, be back this winter in One Last Scent of Jasmine.